With sheet music for over 75 songs from OFFERINGS II, SACRED REVOLUTION, ADORATION, ILLUMINATE, HOUSE OF WORSHIP, LET YOUR GLORY FALL and ON THE ROAD TO BEAUTIFUL, the latest songbook from Worship Together is amazing value! Includes full piano, vocal and guitar arrangements. 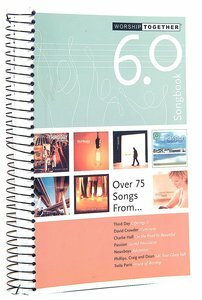 About "Worship Together Songbook 6.0"